You will earn 3,690 Reward Points. Earn 1 reward point for every 1 dollar spent. Keep your prep work fresh and organized with this all-in-one Beverage Air WTFD60AHC-4 Worktop Freezer. 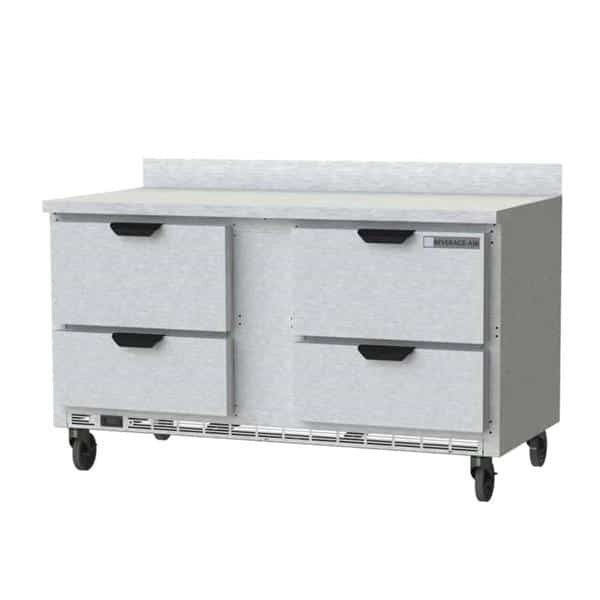 This worktable is 39.50 inches tall, 60 inches wide, and 29.50 inches deep.